Is Boston’s building boom coming to Kenmore Square? Boston’s development boom may finally be reaching Kenmore Square. Kenmore Square could soon get a lot taller. Developers filed initial plans Tuesday to build two large hotels on either side of Beacon Street on the western side of Kenmore, creating a new gateway to the busy square with what would be its tallest buildings. Under the plan, the owners of the Hotel Buckminster would build a 19-story, 388-room hotel on the site of a parking garage and a smaller building they own at 655 Beacon St., while Wellesley-based Mark Development would put a 24-story, 375-room hotel across the street, where a Citizens Bank now stands. The developers hope to capture strong demand for hotel rooms in the neighborhood — which is close to Boston University, Fenway Park, Back Bay, and the Longwood Medical Area — and would aim to improve street life at a busy intersection, according to a letter to the Boston Planning & Development Agency. The two sites sit on key lots in Kenmore Square, parts of which have remained largely unchanged for decades. By building up on the Citizens Bank land, said Mark chief executive Robert Korff, the project has a chance to transform the way the neighborhood feels at street level. Mark acquired the parcel nearly two years ago when it bought a portfolio of Citizens Bank locations. As it began planning a larger development there, Mark spoke with the Hotel Buckminster owners, who devised expansion plans of their own. The two projects are being proposed jointly to the BPDA, which enables the developers to seek zoning approvals that cover a wider area and include streetscape improvements and open space. They could, however, be developed separately. More details are expected to be filed this summer. The project comes amid other changes that are in the works in Kenmore Square. 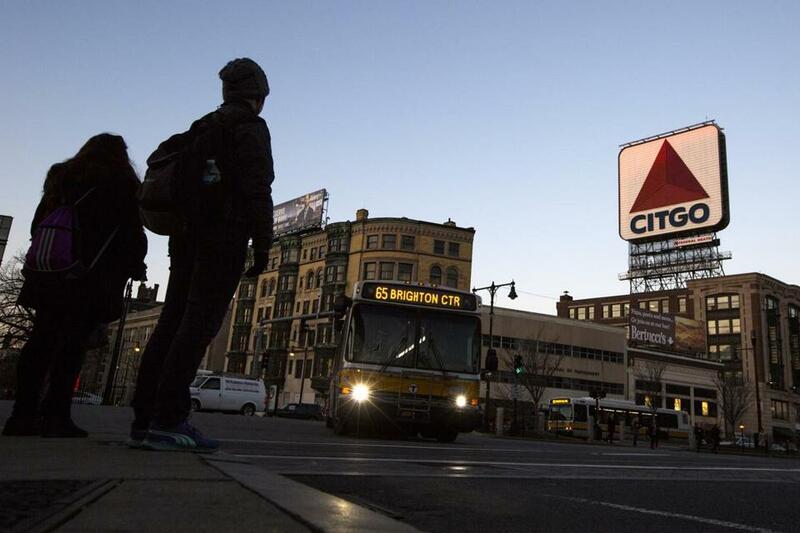 Developer Related Beal is planning to redo a block of buildings on the north side of Commonwealth Avenue — including the building that holds the Citgo Sign — which it bought from Boston University last year. Meanwhile, BU is renovating its Myles Standish Hall on Beacon Street and owns other properties in the neighborhood where it is considering building. Thus far the boom that has transformed other parts of central Boston has largely passed by Kenmore Square, Korff said. But that appears to be changing.